How to add voltage control to Doepfer's dual trigger delay without vactrols. Another chapter in my A-162 mod saga. Having changed the timing caps for delay and length, there's just one thing left: voltage control over those parameters. Vactrols are an easy, if expensive option. Ray Wilson has a cheaper solution. 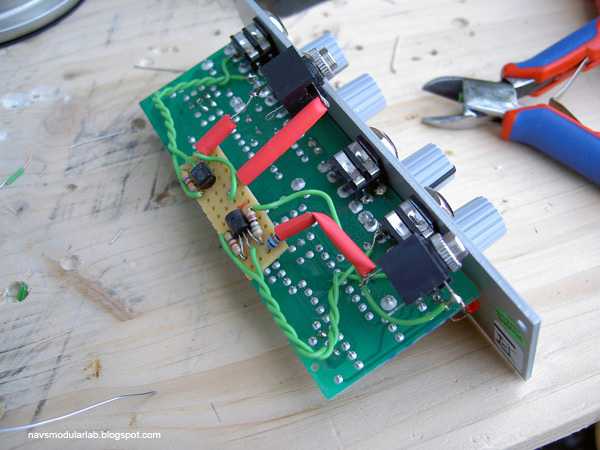 Using a FET as a variable resistor is not without its difficulties, but Ray's circuit works with the A-162. It's not precise, but the object was just to get some automated variation. The floating perf-board is held by a combination of resistors, shrink-wrap and single-core wire. It weighs next to nothing, so should be ok. There was just enough room for the jacks. Vactrols slew and need 2V before they get going. 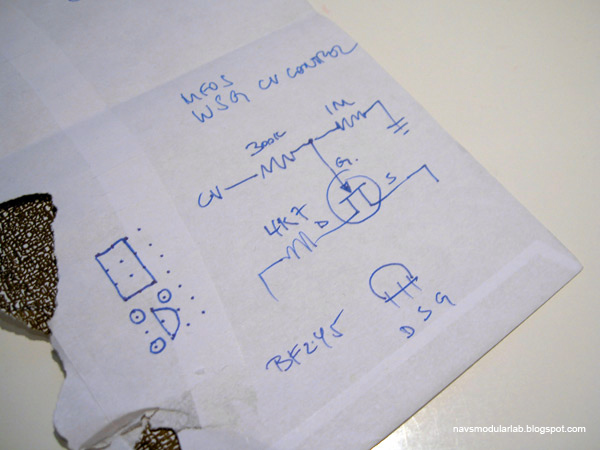 Transistors operate as resistors only within a limited range. Next time I'll tell you how I added VC to my A-143-1 quad AD envelope using a combination of the two. Over a year after my first encounter with Rob Hordijk's wonderful instruments, I've finally built my own Benjolin. This was my most involved DIY project. Sourcing the parts took time and there is a fair bit of soldering. 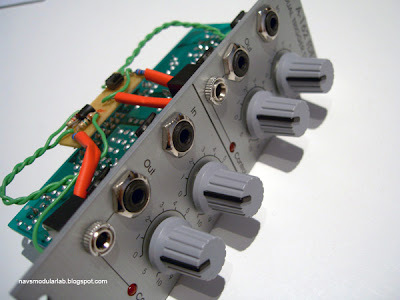 I got the Cool Audio SSM2164 clone from Magic Smoke Electronics. 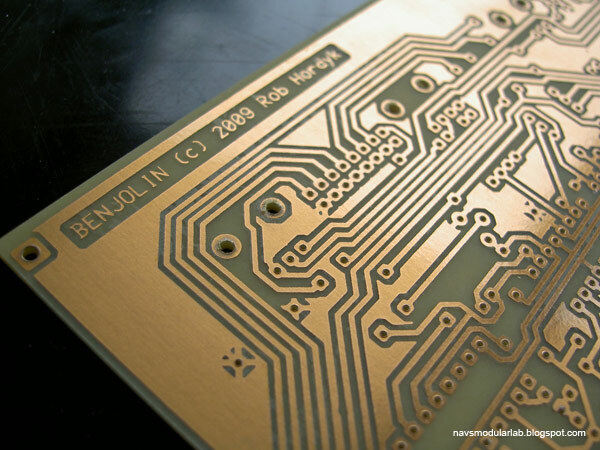 I'm indebted to Chrisi from Koma Elektronik for etching and drilling the PCB. 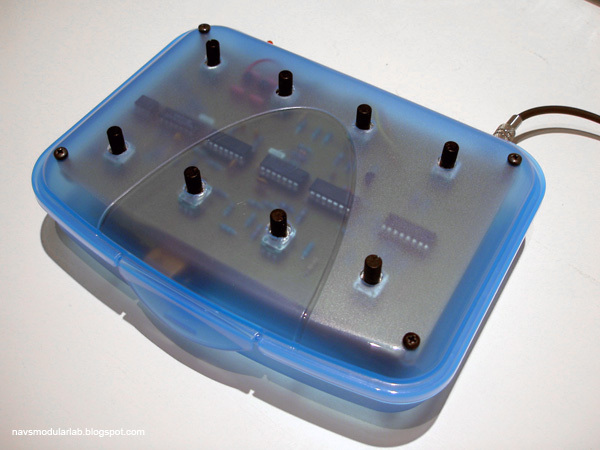 Inspired by Leaf Audio's practical solution, the enclosure is a €2 snack box - a perfect fit. 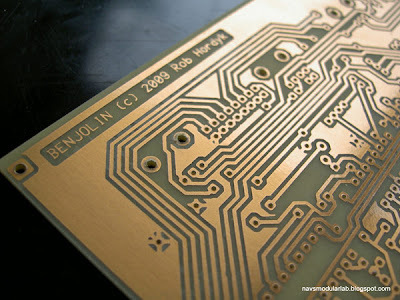 I kept my Benjolin simple: there's just an on-off switch and one, filtered, output. 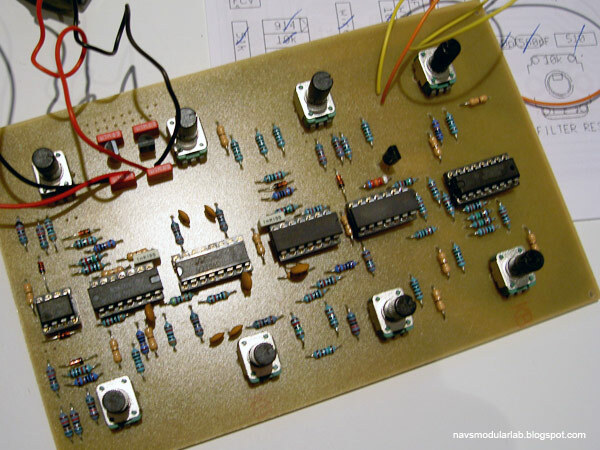 With Tom Whitwell's Turing Machine and my own Bitsy, I have enough shift-register-based sequencers. The Benjolin is unique as it chases its own tail and falls into patterns which can be manually nudged. It's a patch in itself; a fun, hands-on instrument. Benjolin documents and info can be found here and here. Casper Electronics suggests some mods and will offer a kit. Thank you Rob for giving us the best little noise box around!